The Avon 2 Drawer Locker is part of the Avon Bedroom Furniture Range, which is an extensive collecti.. The Balmoral 2 Drawer locker from The Balmoral Bedroom Furniture Range is available in a stunning wh.. The Botany Bay 2 Drawer Locker is part of the Botany Bay Bedroom Furniture Range which is manufactur..
Have a look at the Camden 2 Drawer Locker from the Camden Bedroom Furniture Range. This range is del.. The Chaya Sliding Door TV Unit is part of the Chaya Living collection. The range consists of 3 stunn.. The Contrast 2 Drawer Locker is part of the Contrast Bedroom Furniture collection, which is a unique.. The Contrast Lamp Table is part of the Contrast Living collection, which is a unique way to design y.. The Corrib 2 Drawer Bedside is part of the Corrib Bedroom Furniture Range, which comes in a choice o.. The Devon 2 Drawer Locker from the Devon Bedroom Furniture Range is a traditionally designed piece w.. The Diamond 1 Drawer Locker is part of the unique Diamond Bedroom Furniture Collection. This range i.. The Diamond 1 Drawer Midi Chest is part of the unique Diamond Bedroom Furniture Collection. This ran..
Have a look at the Diego Single Open Locker from the Diego Bedroom Furniture Range. This stunning ne.. The Ha Long Bay 2 Drawer Locker is part of The Ha Long Bay Bedroom Furniture Range which is manufact.. The Hong Kong 1 Drawer Locker is part of the stunning Hong Kong Bedroom Furniture Collection. This r.. The Kent 2 Drawer Locker is part of the Kent Bedroom Furniture Range which is manufactured right her.. The KINGSTON BEDROOM FURNITURE RANGE is a quality range of bedroom furniture enhanced by a delicate .. The Knightsbridge Lamp Table is part of the Knightsbridge Living collection, which is a unique way t.. The Rome 2 Drawer Locker from the The Rome Bedroom Furniture Range is a traditionally designed piece.. The Shanghai 1 Drawer Locker is part of the unique Shanghai Bedroom Furniture. This range is availab.. The Sherwood 2 Drawer Locker from the Sherwood Bedroom Furniture Range is a stunning quality range o.. The Sherwood Lamp Table is part of the Sherwood Living Furniture Collection. The range is a stunning..
Have a look at the Tokyo Bay 2 Drawer Locker from the Tokyo Bay Bedroom Furniture Range, which is th.. The Victoria Lamp Table is part of the Victoria Living Furniture Collection. This range is avai.. The Vienna Lamp Table is part of the Vienna Living Furniture Collection. The range is traditionally .. The Warwick 2 Drawer Locker is part of the Warwick Bedroom Furniture Range, which is a quality range.. The Avon 3 Drawer Locker is part of the Avon Bedroom Furniture Range, which is an extensive collecti.. The Balmoral Door Locker from the Balmoral Bedroom Furniture Range is available in a stunning white .. 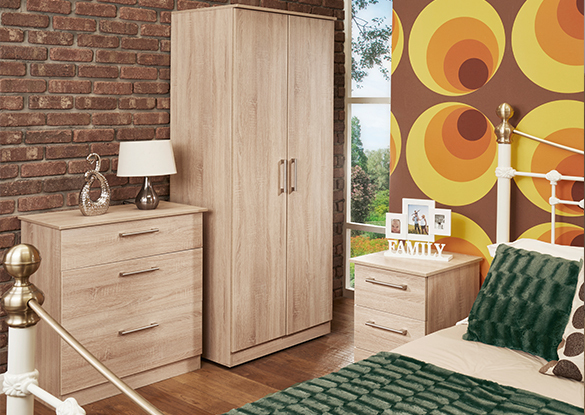 The Botany Bay 3 Drawer Locker is part of the Botany Bay Bedroom Furniture Range which is manufactur..
Have a look at the Camden 3 Drawer Locker from the Camden Bedroom Furniture Range. This range is del.. The Chaya 1 Door 3 Drawer Sideboard is part of the Chaya Living collection. The range consists of 3 .. The Chaya 2 Door 3 Drawer Sideboard is part of the Chaya Living collection. The range consists of 3 .. The Contrast 3 Drawer Locker is part of the Contrast Bedroom Furniture collection, which is a unique.. The Contrast Coffee Table is part of the Contrast Living collection, which is a unique way to design.. The Corrib 3 Drawer Bedside is part of the Corrib Bedroom Furniture Range, which comes in a choice o.. The Devon 3 Drawer Locker from the Devon Bedroom Furniture Range is a traditionally designed piece w.. The Diamond 2 Drawer Locker is part of the unique Diamond Bedroom Furniture Collection. This range i..
Have a look at the Diego Single 1 Drawer Locker from the Diego Bedroom Furniture Range. This stunnin.. The Ha Long Bay 3 Drawer Locker is part of The Ha Long Bay Bedroom Furniture Range which is manufact.. The Hong Kong 2 Drawer Locker is part of the stunning Hong Kong Bedroom Furniture Collection. This r.. The Kent 3 Drawer Locker is part of the Kent Bedroom Furniture Range which is manufactured right her.. The Knightsbridge Coffee Table is part of the Knightsbridge Living collection, which is a unique way.. The Lumiere 3 Drawer Bedside is part of the Lumiere Bedroom Furniture Collection. The range consists.. The Lumiere 3 Drawer Deep Chest is part of the Lumiere Bedroom Furniture Collection. The range consi.. The Pembroke 2 Drawer locker from The Pembroke Bedroom Furniture Range is available in 5 colours, ch.. The Rome 3 Drawer Locker from the The Rome Bedroom Furniture Range is a traditionally designed piece.. The Shanghai 2 Drawer Locker is part of the unique Shanghai Bedroom Furniture. This range is availab.. The Shanghai Locker with Natural Legs is part of the Shanghai Living Collection. The range consists .. The Sherwood 3 Drawer Locker from the Sherwood Bedroom Furniture Range is a stunning quality range o.. The Sherwood Coffee Table is part of the Sherwood Living Furniture Collection. The range is a stunni..
Have a look at the Tokyo Bay 2 Drawer Midi Chest from the Tokyo Bay Bedroom Furniture Range, which i..
Have a look at the Victoria 2 Drawer Bedside from the Victoria Bedroom Range. This range is availabl..
Have a look at the Victoria 3 Drawer Bedside from the Victoria Bedroom Range. This range is availabl.. The Victoria Coffee Table is part of the Victoria Living Furniture Collection. This range is av.. The Vienna Coffee Table is part of the Vienna Living Furniture Collection. The range is traditionall.. The Warwick 3 Drawer Locker is part of the Warwick Bedroom Furniture Range, which is a quality range.. The York 2 Drawer Locker is part of the York Bedroom Furniture Range. The York Range is available in.. The Avon 4 Drawer Locker is part of the Avon Bedroom Furniture Range, which is an extensive collecti.. The Balmoral 3 Drawer Locker from the Balmoral Bedroom Furniture Range is available in a stunning wh.. The Botany Bay 3 Drawer Midi Deep Chest is part of the Botany Bay Bedroom Furniture Range which is m.. The Buckingham 4 Drawer Locker from the Buckingham Bedroom Furniture Range is a traditionally design..
Have a look at the Camden 5 Drawer Locker from the Camden Bedroom Furniture Range. This range is del.. The Contrast 4 Drawer Locker is part of the Contrast Bedroom Furniture collection, which is a unique.. The Contrast Low 2 Door Unit is part of the Contrast Living collection, which is a unique way to des.. The Corrib Door Locker is part of the Corrib Bedroom Furniture Range, which comes in a choice of fin.. The Devon 3 Drawer Deep Chest from the Devon Bedroom Furniture Range is a traditionally designed pie..
Have a look at the Diego Double Open Locker from the Diego Bedroom Furniture Range. This stunning ne.. The Ha Long Bay 3 Drawer Midi Deep Chest is part of The Ha Long Bay Bedroom Furniture Range which is.. The Hong Kong 1 Drawer Midi Chest is part of the stunning Hong Kong Bedroom Furniture Collection. Th.. The Kent 3 Drawer Chest is part of the Kent Bedroom Furniture Range which is manufactured right here.. The Knightsbridge Low 2 Door Unit is part of the Knightsbridge Living collection, which is a unique .. The Lumiere 4 Drawer Deep Chest is part of the Lumiere Bedroom Furniture Collection. The range consi.. The Rome 4 Drawer Locker from The Vienna Bedroom Furniture is a traditionally designed piece with a .. The Shanghai 1 Drawer Midi Chest is part of the unique Shanghai Bedroom Furniture. This range is ava.. The Bedroom Shop is a reputable family run business that prides itself on selling quality assembled bedroom furniture at highly competitive prices. our bedroom furniture shop in Wigan was opened in 1995 were we successfully established ourselves as one of the finest retailers in Lancashire. In 2001, The Bedroom Shop started to sell their products online, allowing them to offer a wider range of products throughout the UK and in 2010 they closed their shop and opened a large warehouse that could hold enough stock to get customers their products quicker and cheaper with the amount of savings they make by buying in bulk. 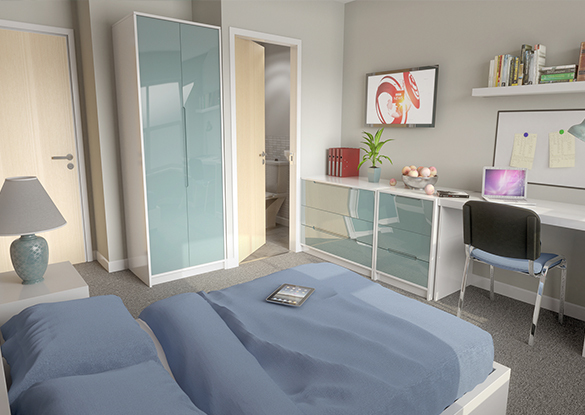 The Bedroom Shop Ltd has an on-site showroom in which you can view most ranges of bedroom furniture we have online and is only a short drive from Manchester, Liverpool, Bolton and Stockport. However, if you live further afield; take a look at the website and browse the ranges from the comfort of your own home. The Bedroom Shop Ltd are the premier stockist of Welcome Furniture which comes fully assembled with UK delivery within 1 - 4 weeks, please call for more details. Garry created the business in 1995 at a shop in Atherton Manchester and managed sales, assembly of goods, deliveries, accounts and well, just about everything. But it wasn't long before he had enough regular work to employ someone, giving him more time at looking how to develop the business. We only require a 10% delivery on ordering and the balance paid when we book delivery in. Why not come down to our warehouse today! Our sets including Welcome Furniture, the hugely popular Knightsbridge Furniture range, plus a huge selection of Pine bedroom furniture.